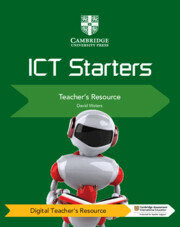 Help your students learn essential ICT skills, from Microsoft Office® basics to animations and websites. 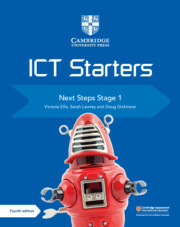 This series brings a fresh approach to ICT for students from 7 to 14 years old, mapped to the Cambridge ICT Starters syllabus for examination from 2019. 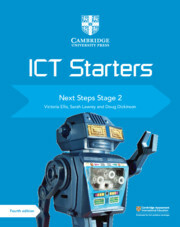 In Next Steps, learners develop their understanding of email and programming. 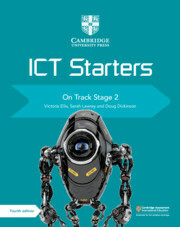 The resource also introduces them to working with multimedia. Students will create a book cover and use programming to design a shop sign. 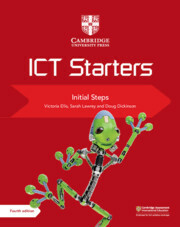 Each activity is clearly introduced, with step-by-step guidance to help learners master new skills. Key words and visual examples support students’ understanding. Download source files for the activities from our website. Clear learning objectives at the start of every module demonstrate specific syllabus skills and whether they correspond to a Pass or Merit grade. 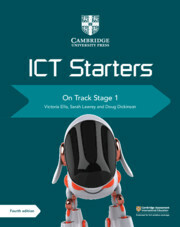 A ‘Before you start’ section links back to prerequisite knowledge, ensuring students are prepared and ready to tackle the module. A strong emphasis on e-safety throughout the series encourages students to stay safe on the internet. Fun activities – including creating images, exploring multimedia and programming – provide a steady step-by-step approach. A practical activity at the end of each module provides task-based learning where students can consolidate all of their skills. Opportunities for reflection allow students to monitor their learning and consider what and how they have learnt.